Resonant mahogany body topped with maple burl for a look all its own. 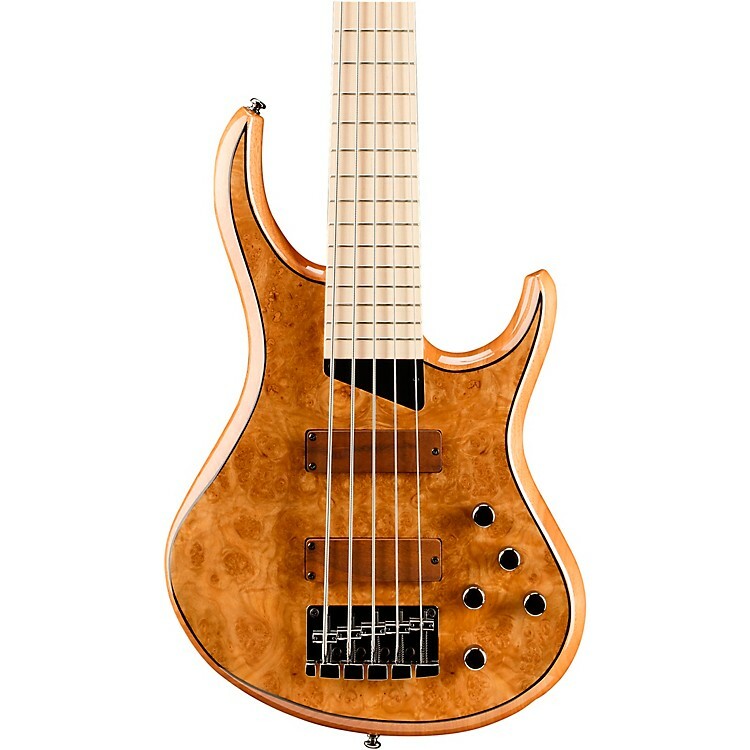 MTD's Kingston KZ 5-string bass is loaded with reversed split coil humbucking pickups wound to exacting specs and attractively housed under burled maple covers that match the top wood. The active electronics, tuned by Michael Tobias, offer bass, mid and treble tone controls, pickup blend and master volume. All of the circuitry is tucked into a shielded body cavity to ensure an extremely low noise floor. The Buzz Feiten tuning system will keep your intonation dead on. 35" scale, 24-fret neck, MTD Quick-Release bridge, and a double-action truss rod are other pro features. MTD active wood covered soap bar pickups. MTD quick release bridge, 3/4"